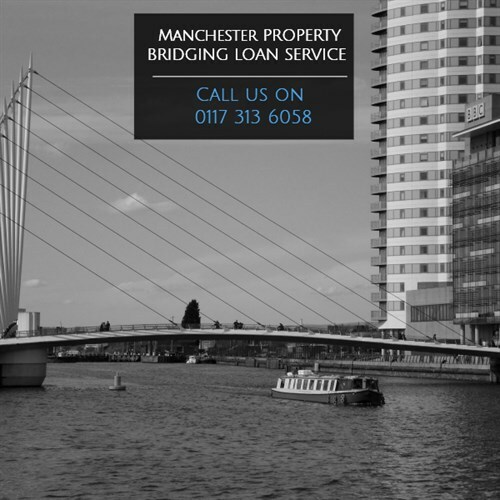 Looking for a bridging loan solution in the Manchester Area? Fast finance - looking to buy a house and need fast finance? To investigate how to get a bridging loan, call our finance team on 0117 313 6058 or fill in our call back form. A bridging loan is a specialist loan designed for short-term situations to provide a temporary cash flow solution or ‘bridge’ before additional permanent finance becomes available. This type of loan or finance can be ideal when you are up against the the clock and where funds are needed quickly. A typical scenario is where you have yet to sell your house but you have found a new property and you need short term finance to secure the purchase until your sale goes through. The process for obtaining a bridge mortgage is usually straightforward with a more flexible set of criteria than most high street banks and mortgage lenders. Like a mortgage, a bridging loan is secured against property or asset with the typical loan to value in the region of 70%. Although 100% loan to value bridging loans are available, it often is determined by your set of circumstances and the assets used in the background as leverage. Call our team today on 0117 313 6058 or complete our callback form to discuss short term finance options for property in Manchester. The first is the closed bridging loan. This is exclusively available to people who have already exchanged on a specific property and need the finance to secure it. This type of bridging loan can be easier to come by, as the lender will consider the sale unlikely to fall though at this point. The second type of bridging finance is known as an open bridging loan. This is aimed at people who have found a property they want to buy, but have not yet sold their current home. Due to the increased chance of a sale not occurring, lenders are often more reluctant to offer open bridging loans. Your chances of acceptance will be increased if you have a lot of equity in your current property. Short-term finance is more expensive than long-term funding, however with the extra cost you get speed and convenience. If you are looking at bridging loan options, call us on 0117 313 6058 or complete our request callback form.